Manager at Olea Kiosks Inc.
A self-service kiosk isn’t a “set it and forget it” proposition. Getting customers to use that kiosk takes a bit of effort. 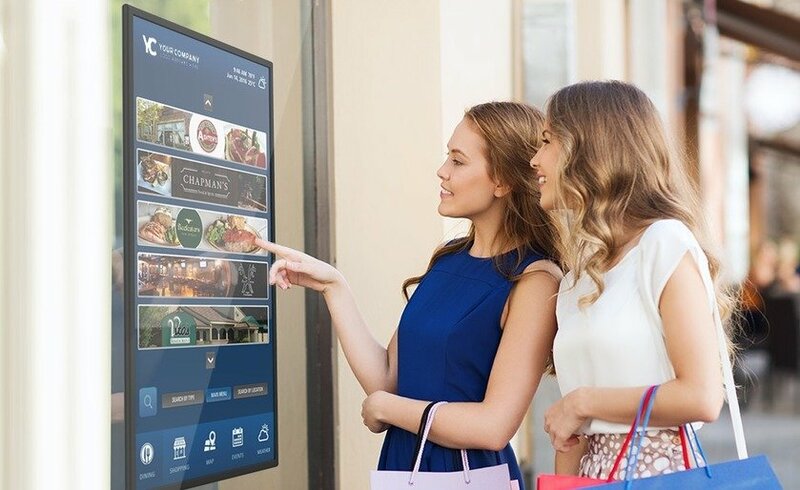 When a company incorporates a self-service kiosk into its operations, one of the key challenges it faces is how to encourage people to use that kiosk. In a restaurant, the more people use a self-order kiosk, the more time staff will have to deliver personalized service. In a retail operation, merchandise orders placed via an in-store kiosk add to the bottom line without the costs associated with keeping that merchandise in stock. 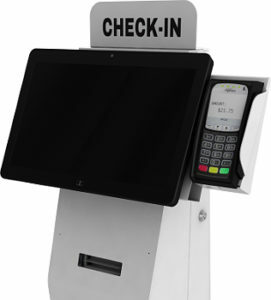 For bill pay kiosks and similar devices located in grocery stores or other third-party locations, attracting users to conduct their transactions at the kiosk versus the customer service counter leads to higher revenue for the kiosk deployer. In each of these cases, more people using the kiosk means a quicker return on investment, higher transaction averages and ultimately, more satisfied customers. Deploy multiple kiosks – One of the best drivers of kiosk usage is placing two units instead of one. Psychologically, it either gives users permission to use the devices or it puts them in an “if they can, I can” position. Place signage nearby – Even a simple sign by the door saying “try our new self-order kiosks” can help drive traffic. Additional signage near the kiosk with a phrase along the line of “Just touch the screen to begin” will prompt some customers to take the plunge. 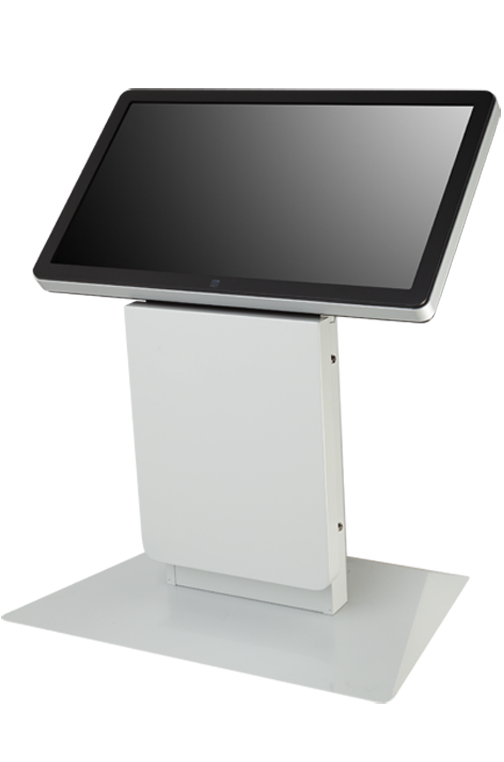 Employ a kiosk “concierge” – This can be particularly helpful with a new kiosk deployment. Having an employee near the kiosk ready to walk customers through the transaction process can help them overcome any trepidation they may have. In addition, seeing people make use of the kiosk can lead others to want to get in on the action. Light it up – A string of LED lights or a digital display mounted above the kiosk can grab attention. Even something as simple as a wall-mounted LCD display will help boost traffic. That can be particularly important in a situation where the kiosk is in a third-party location such as a convenience or grocery store and is in competition with other transaction channels. Make use of color – Some customers may be apprehensive about using your kiosk. 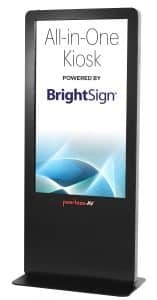 Including instructions on the kiosk enclosure and/or having the touchscreen revert to a screensaver that says something along the lines of “Touch here to begin” when not in use may encourage users to take that first step. Create an accompanying loyalty program – A loyalty program for kiosk users or kiosk-only promos can reward customers for using the device. A Kiosk Combo in a restaurant or a kiosk-only coupon in a retail store can be a great incentive, helping to increase usage. Place it front and center – It should go without saying, but we’ll say it anyway. If you want to achieve all the benefits a self-service kiosk has to offer, make it the centerpiece of your operation. Don’t put it in the corner; place it in such a way that customers can’t help but see it as they walk through the door. Talk it up – Whether you are using your kiosk for self-ordering in a restaurant, as an endless aisle device or for self-checkout applications, make it a part of your marketing efforts. Mention it on social media and spotlight it in advertising circulars. Getting customers interested in the device will lead them to use it. As a parting thought, one of the best ways to ensure customers make use of your self-service kiosk is by educating employees about the benefits it will offer and how it will make their jobs easier. Employee-buy-in will go a long way towards making the project a success. At the end of the day, the best way to ensure the kiosk you choose provides maximum benefits is to work with an experienced kiosk vendor who can recommend the best options. Olea Kiosks stands ready to help. Call 800.927.8063 for more information. With his finger on the pulse of the industry, no one knows quite as much about digital signs (or about selling salt—trust us and watch the video) as Dave Haynes, the founder and editor of the Sixteen:Nine blog and the Meeting Room Signs website. Meeting rooms are the gateway drug for digital signage companies wanting to enter that world. Getting in opens up many other opportunities as well. Haynes stresses analytics and can’t disagree with that. With digital signage in search of ROI (still), traffic and audience footfall analytics would seem to be their big card to play, yet I don’t think it has been played. Visit Nanonation for more information. A new outdoor campaign for GMC’s Acadia has raised the bar for consumer engagement by combining facial recognition and digital out-of-home screens. Good writeup. GMC’s campaign, developed by Posterscope USA along with Quividi, EYE Corp Media and Engage M1, ran for 8 weeks at the Santa Monica Place shopping mall. Posterscope and their partners fitted eight digital out-of-home screens in Santa Monica Place Mall with video sensors and Quividi’s audience platform to anonymously detected a passing shopper’s gender, whether they were alone or with a group, or part of a couple or a family.  The system could also identify if the person standing in front of the screen was an adult or child along with their mood, including if they were frowning or smiling. NEW YORK, NY — A campaign for GMC’s Acadia raises the bar for consumer engagement by combining facial recognition and digital screens. The campaign marks the first time that responsive facial recognition has been used to serve personalized content to digital displays. Facial recognition detects the gender, facial expression, age, and composition of passing audiences and then serves real-time, branded content to audience. Interactive games are included, both for children and adults. Posterscope USA along with Quividi, EYE Corp Media and Engage M1 developed it and it ran for 8 weeks at the Santa Monica Place shopping mall. Posterscope and their partners fitted eight digital out-of-home screens in Santa Monica Place Mall with video sensors and Quividi’s audience platform to anonymously detected a passing shopper’s gender, whether they were alone or with a group, or part of a couple or a family. Finding effective ways to deliver branded messages in today’s complex media environment is one of the biggest challenges facing advertisers. Traditional methods of advertising have become less effective as consumers spend less time in places where marketers have traditionally had an advantage in reaching them. In addition, consumer attention has fragmented across multiple channels as media options and device platforms increasingly diversify. 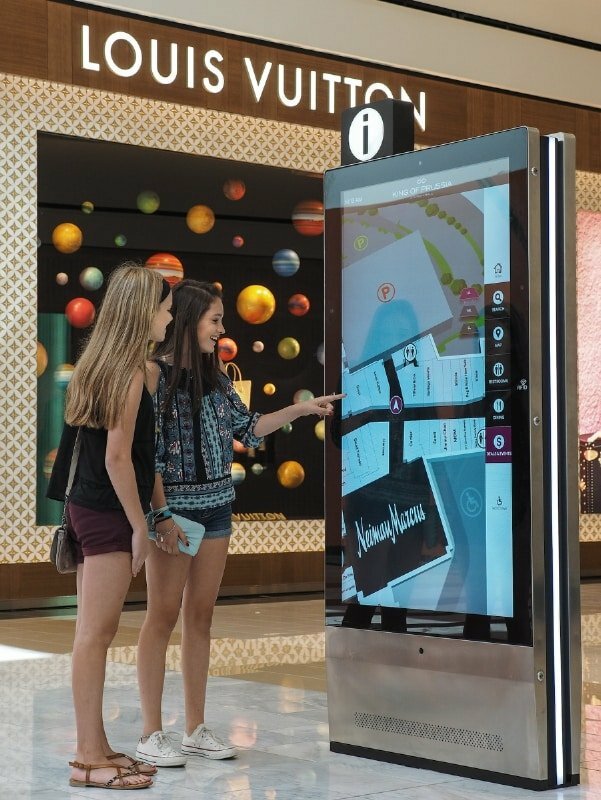 Digital Out-of-Home (DOOH) advertising, also known as Digital Place-based (DPb) media, utilizes strategically placed, networked digital signage displays to reach on-the-go consumers while they are outside of their home with highly targeted messages. Location-based mobile and digital out-of-home media are part of a larger multiscreen ecosystem that effectively amplifies brand messages to create a deeper level of engagement with active consumers. 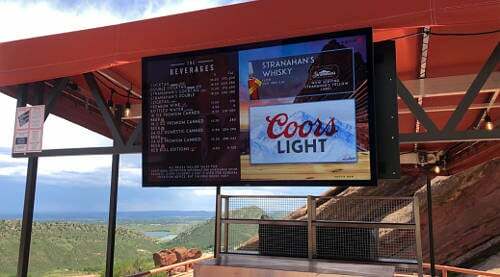 Editors Note: We have known Neil Nguyen of Kiosk Innovations for over 15 years and his team is one of the most skilled and innovative self-service kiosk & digital signage design firms we know. announce the launch of our new website! A great deal of time and effort went into the design and layout to ensure a quality user experience when shopping for kiosk solutions. Our website has many new features intended to make our visitors experiences positive and memorable. Photos, galleries and graphics are just a few of the new features you will see dispersed throughout the site to create a more visual experience, drawing attention to our niche of unique custom designs and solutions, giving more transparency to our manufacturing capabilities. 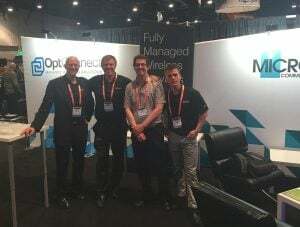 Don’t forget to connect with us on our social media platforms as well for more content and updates to keep up to date on our growth, progress and innovations in the coming years. Kiosk Innovations has over 25 years experience in standard and custom kiosk design and manufacturing. Kiosk Innovations is charter member of the Kiosk Industry Association. What’s more Natural than a Ticketing Kiosk? July 19, 2016 – YORK, PA. The Field Museum in Chicago takes pride in being one of the world’s largest natural history museums in the world. Their diverse array of permanent exhibitions and quality educational programs attract over 2 million visitors annually. The Field Museum is constantly looking for ways to enrich their guests’ journeys and engaging them through interactive ways to continuously improve the experience they receive. Field Museum had recently implemented a new ticketing system from Ticket Return, and they soon recognized that they could improve their customer’s experience by investing in self-service ticketing kiosks and digital signage. Ticket Return reached out to Livewire Digital, based on Livewire’s long-running experience in self-service ticketing, to create a new engaging kiosk. The kiosk had to provide guests easy and quick navigation through the product purchase process and allow them to view and select show times for various exhibits. The kiosks were also to power a secondary display screen to show advertisements and messages about upcoming events and exhibits to guests. Field Museum personnel agree that ‘history was made’ during that first week of operation and beyond. The new kiosks have added to their guests’ journeys, offering an engaging and time-saving start to every new exploration of the museum’s story into life on Earth. 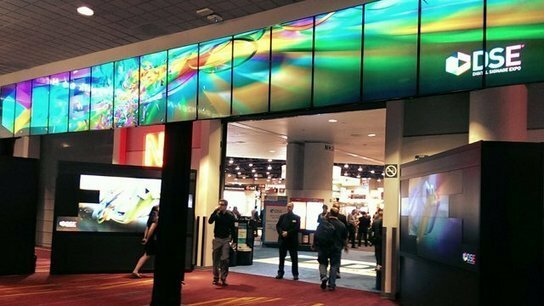 At the Digital Signage Expo, visitors will get to see the new Self-Service Pavilion, which will display a number of kiosks and interactive displays. However, with all the activity, DSE can be a bit overwhelming. Here are a few tips to get the most out of your visit.